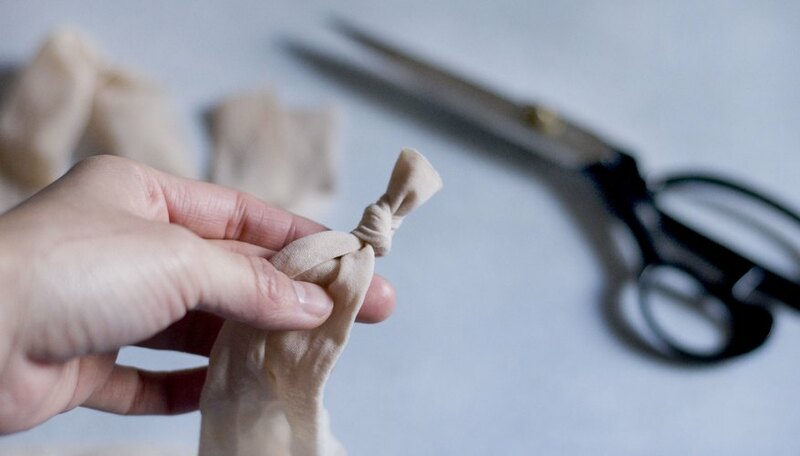 Making fake blood and guts can turn your Halloween event into an evening to remember. Fake blood and guts are also useful for film or stage props, particularly in the zombie, science fiction or horror genres, as well as for an advanced gags or pranks. 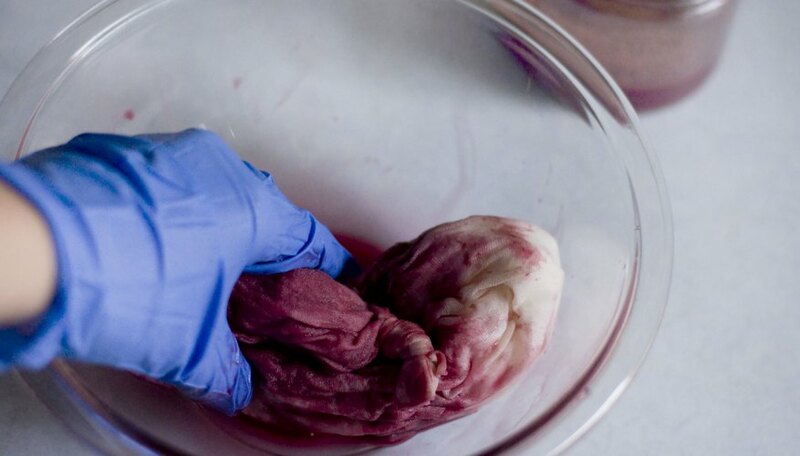 Using common household ingredients, you can make realistic looking blood and guts in only a few hours. Measure a cup of corn syrup and 2 tbsp. of cornstarch or flour. Combine the ingredients in a large mixing bowl. Add 15 to 20 tbsp. of red food coloring. 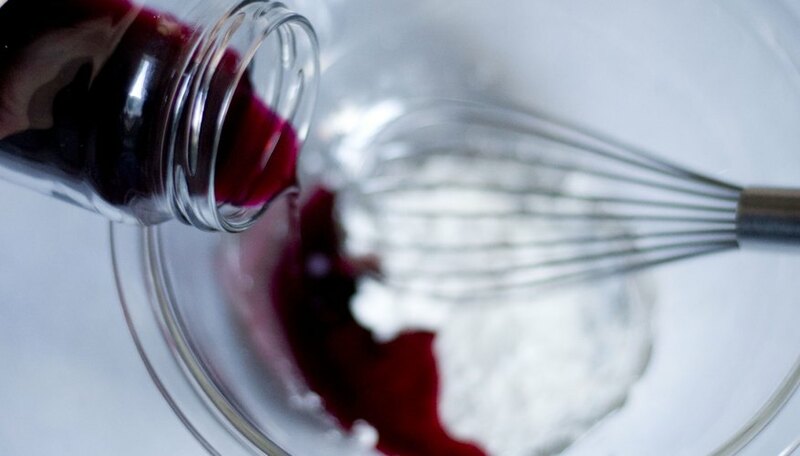 Use a wire whisk to smooth out the lumps. Inspect the fake blood for color and consistency. 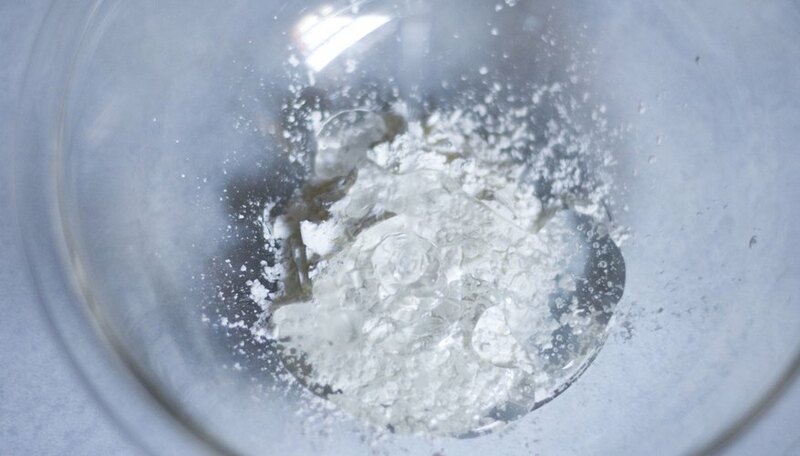 If you want thicker blood, add more cornstarch or flour, 2 teaspoons at a time. 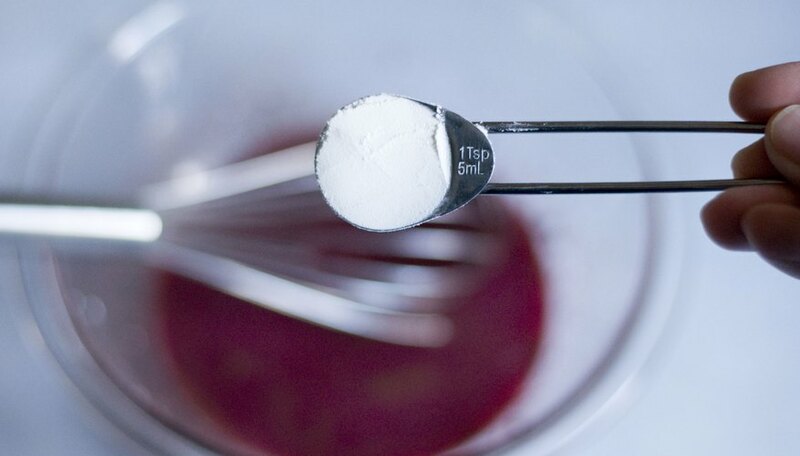 If you want thinner blood, add a small amount of water as necessary. Add 1 tbsp. of cocoa powder if you want darker blood. Cover the bowl and refrigerate it until you're ready to use it. The mixture should be good for several days. This yields approximately one cup of fake blood. Double, triple or quadruple the ingredients if necessary. Snip the feet from the leggings, then tie one end off. Loosely twist sheets of paper towels. Stuff the sheets into the leggings. Add enough until you are satisfied with the girth. Tie off the other end of the nylon legging. Repeat as necessary for each intestine you want to make. Coil the guts into a large mixing bowl. Cover the guts with fake blood. 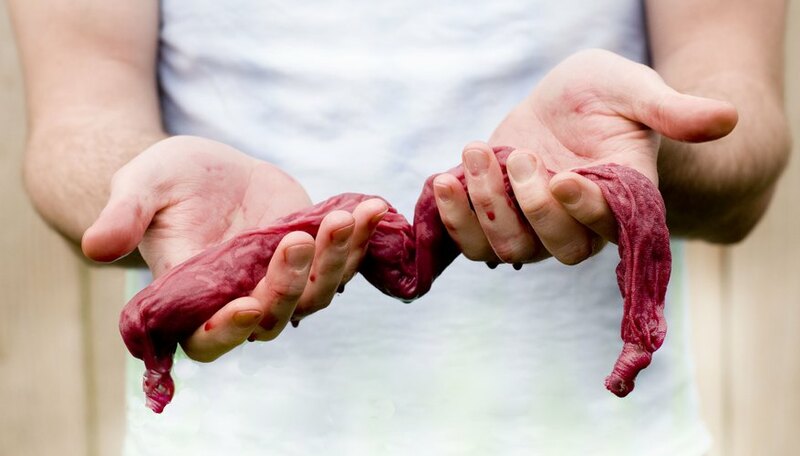 Put on a pair of latex gloves and mix the guts and blood with your hands, letting the blood soak into the guts. Cover the bowl. Refrigerate the guts until you are ready to use them. Using cornstarch gives your blood a slightly glazed look. Using flour makes the blood dull. 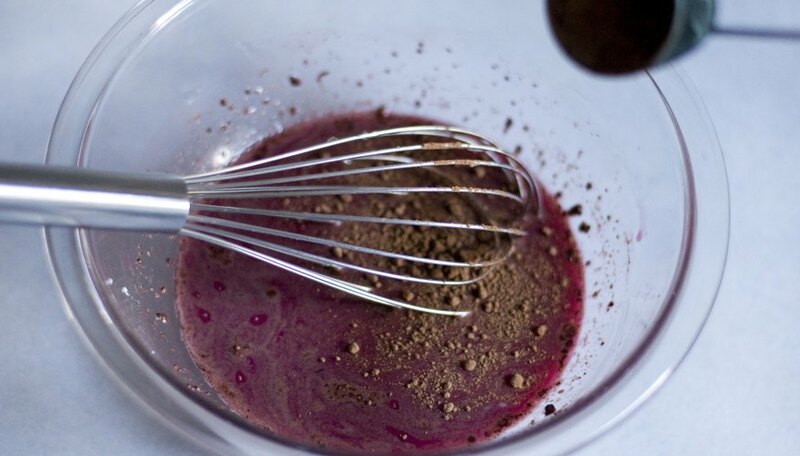 When determining whether to add cocoa powder, consider your use for the blood. Darker blood is generally used for "dead" blood, while brighter blood is used for wounds, cuts, etc. 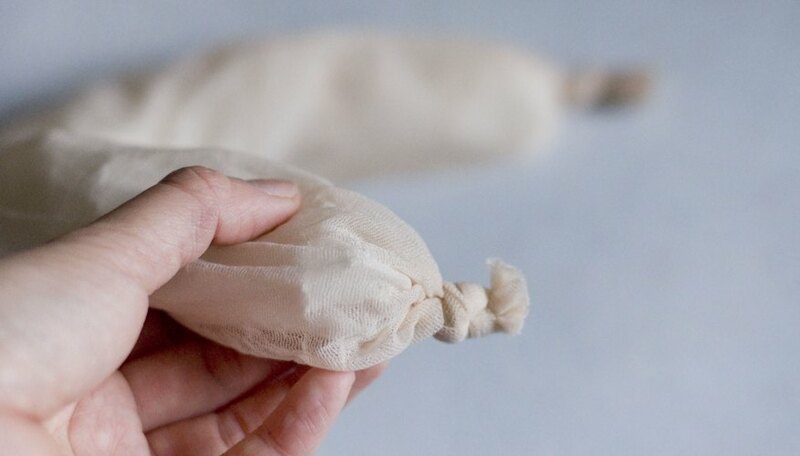 If you want to make edible guts, use sausage casing (vegetarian casing is okay) instead of nylon leggings. Cook enough spaghetti to stuff into the casing. Drain the spaghetti and add enough food coloring to reach the desired color. Stuff the casing with the spaghetti. Let the guts soak in fake blood for several hours. 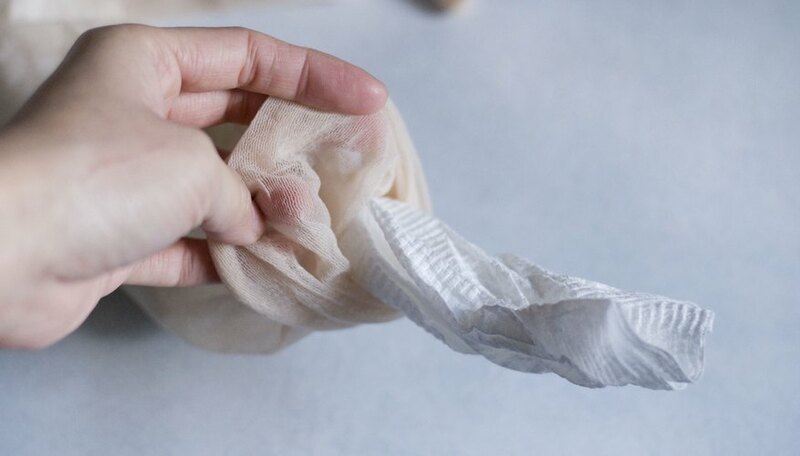 Fake blood and guts will likely stain your clothing.